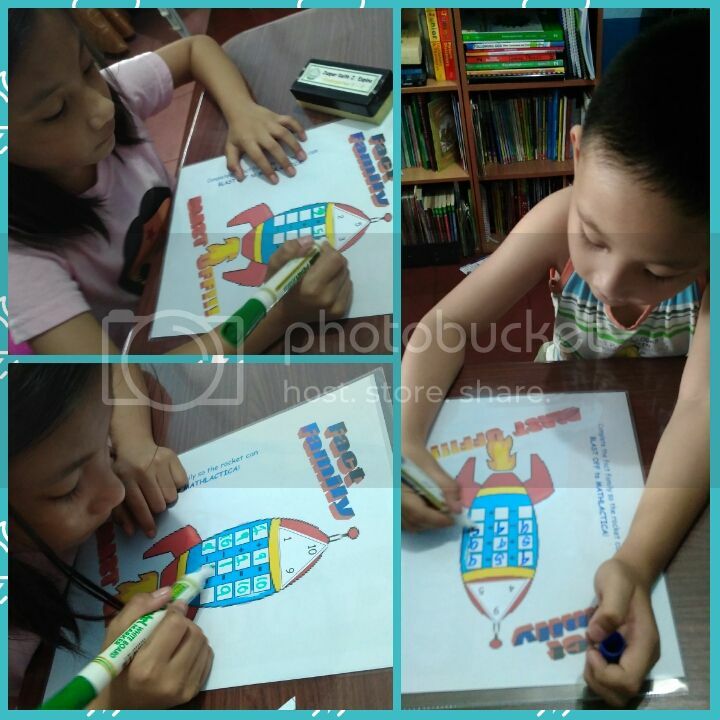 How do we make Math fun in Camp Espino? We play! One way we’re doing this is by making them realize that Math is part of our everyday life. At home, they measure ingredients when we bake or cook. They learn the concept of division when they share toys or candies. When we go out to eat or to buy groceries and other stuff, I ask them to place their orders or to pay for their purchases. This makes Math “real” to them. Another way we’re trying (trying is the operative word here!) to make learning Math more fun is by using manipulatives during our study time. 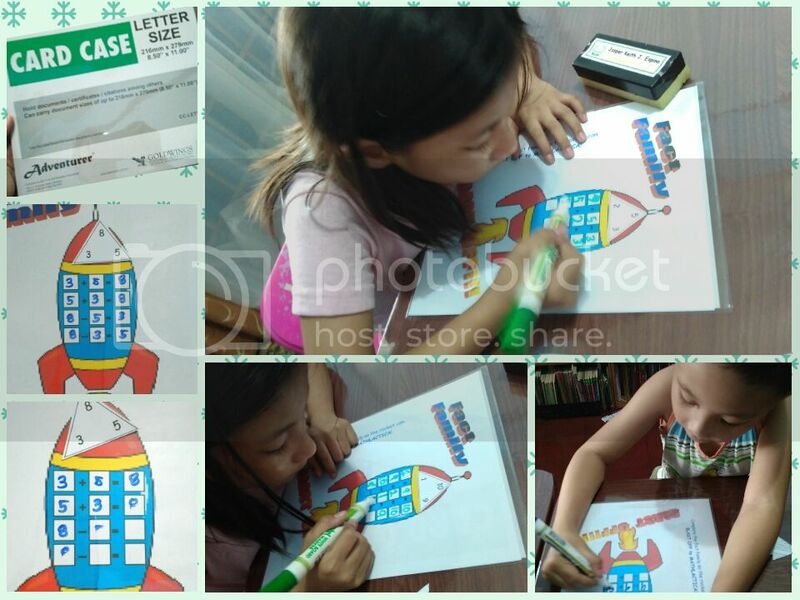 Before we started homeschooling, I bought the Gigo Linking Base Ten set from Learning Plus. It’s a great tool for helping kids learn place values and other basic Math skills. This has been very useful during the first part of our lessons this quarter but as we progressed, I realized we needed other manipulatives when dealing with bigger numbers. 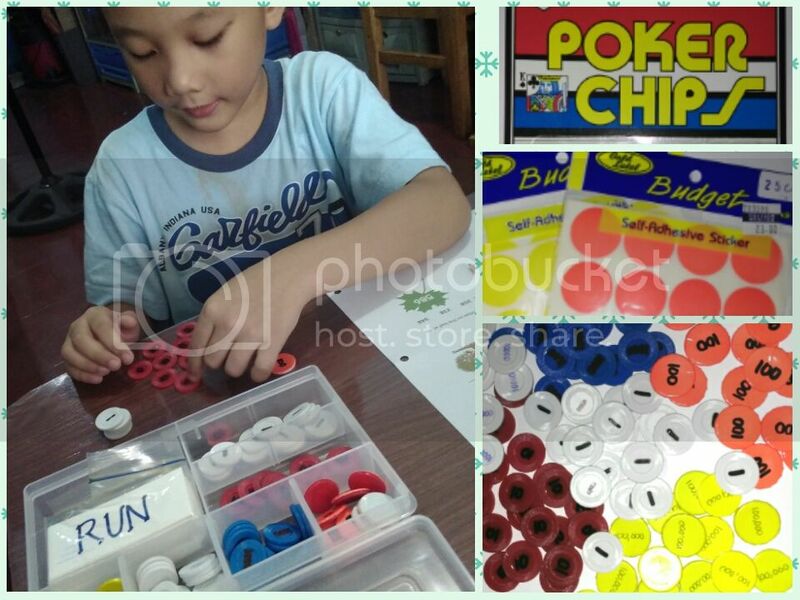 Since, I can’t afford to shell out thousands more for a Place Value Discs set, I opted to improvise using poker chips and stickers! I bought a set of poker chips from NBS and wrote the values on them using permanent marker. The chips set only had three colors I covered the others with pre-cut round stickers which is also available in bookstores. This entire set just cost a little over a hundred pesos! We’ve been using these chips for our lessons in addition and subtraction. We’d most likely need to add another set of chips when we start studying multiplication. For their Math bonds practice, I got some inspiration from the Fact Family Blast Off game. I printed templates on regular bond paper then inserted these into card cases. Now we’ve got an easy wipe-erase activity board! Aside from these, we also use their Legos and other building blocks to study Math. Since my son is highly kinesthetic, we incorporated some games into our learning. 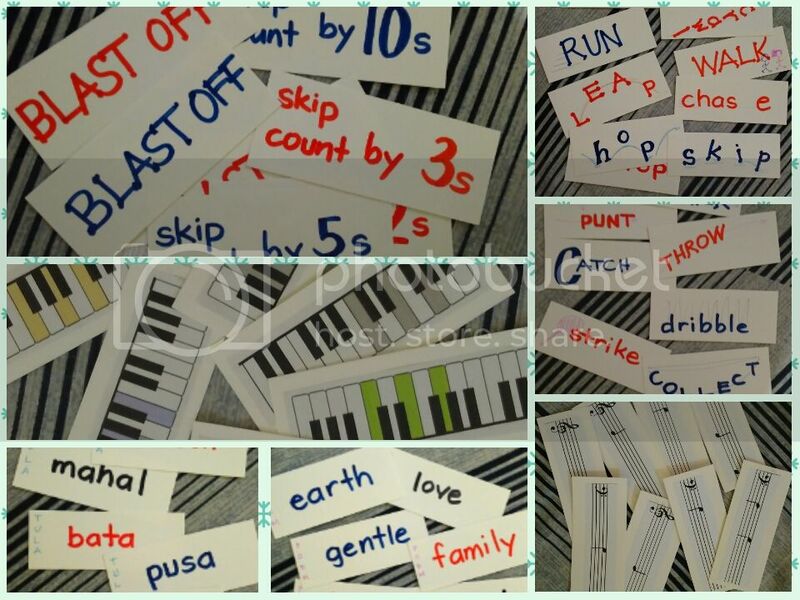 Math – kids have to finish one Blast Off card, skip count, or do Math operations; PE – kids have to do a locomotor/non-locomotor activity; Music – kids have to name notes on the staff or play them on the keyboard; English – make a short poem about the word; Filipino – think of a rhyming word and make a two-line poem. 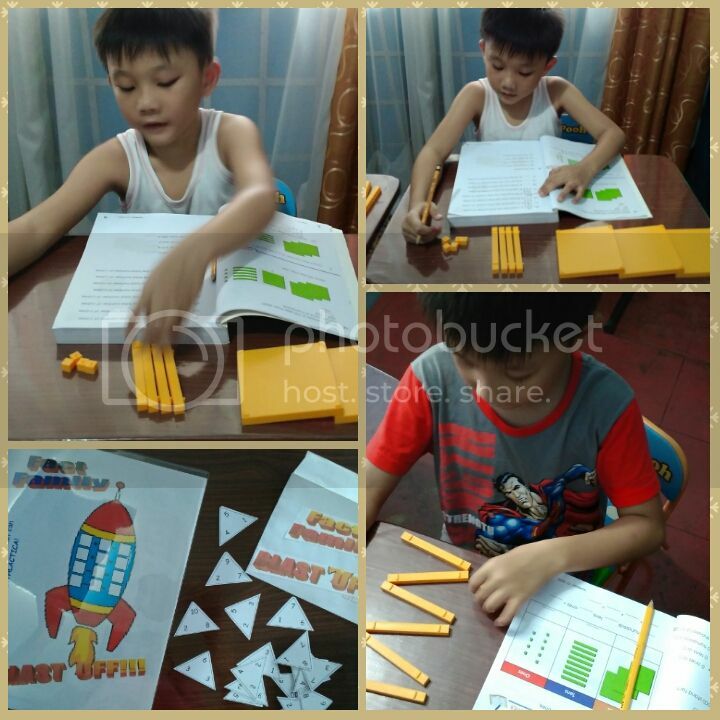 When I attended Milona Barraca‘s workshop on How To Make Learning Math Fun At Home at the Learning Plus last June, I learned that even something as ordinary as playing cards can be used to make learning Math fun. I taught the kids how to play “Go Fish! The Tens Edition” to help them master their 10-bonds. 🙂 They don’t even realize that they’re actually learning while playing! Instead of making the usual pairs, the kids have to make pairs of tens. No one loses in this game! Do the kids love Math already? I wish!!!! Oh well, it may be far from being their favorite subject but at least they’re having fun learning it! It looks like, math is fun at camp Espino! Thank you Olga! These are very useful! Taon-taon na lang kailangan namin nito haha!